Regular readers will know: Margaret Dabbs keeps the spring in our step. Her medi-pedi treatments are a monthly fixture in our diaries: hooves shaved, nails buffed, calves massaged – and the finishing touch: a glossy, longlasting polish. (Although that’s booked separately: the podiatrists don’t varnish.) The thinking: with hard skin buffed away and soles smoothed, walking is more comfortable. And the more comfy our feet are, the further we walk. Therefore: a medi-pedi isn’t an indulgence, it’s a health necessity. Whereas the SpaceNK spa it’s replaced was all moody lighting and rich earth tones, Margaret Dabbs has given it a brilliantly-lit ‘makeover’: all clean lines, white surfaces and urban chic. If you have a particular favourite podiatrist from another of the clinics, chances are they may be working here one or two days a week (Margaret's highly-qualified foot pros tend to ‘rotate’ between salons). We honestly can’t recommend too highly that if medical pedicures aren’t on your maintenance list, you experience one for yourself. We’d much rather spend money on our actual feet than on endless pairs of new shoes. 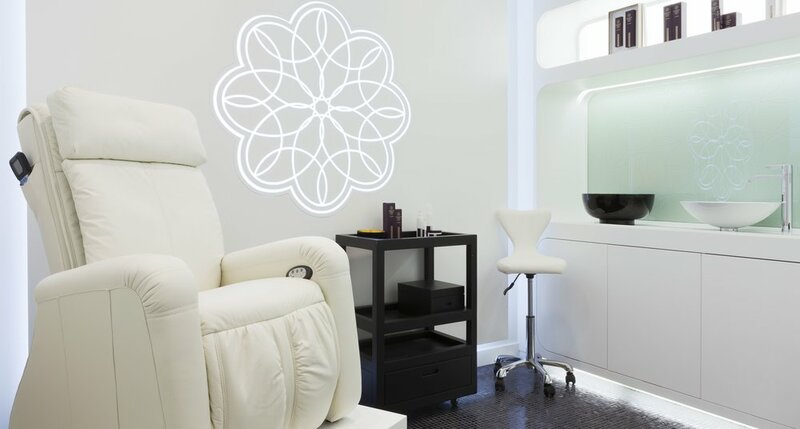 We’ve said it before, we will definitely say it again: happy feet make a happy woman – which makes this new Margaret Dabbs salon is a positive temple to joy. PS We’re also delighted to announce that Margaret’s expanding outside London: Cheltenham, Harrogate and Manchester’s Alderley Edge are on the cards for 2016.